Before you start going crazy with the colors, however, it’s important to have some sense of what you’re doing in order to ensure that you don’t end up looking more like a clown than a rainbow. 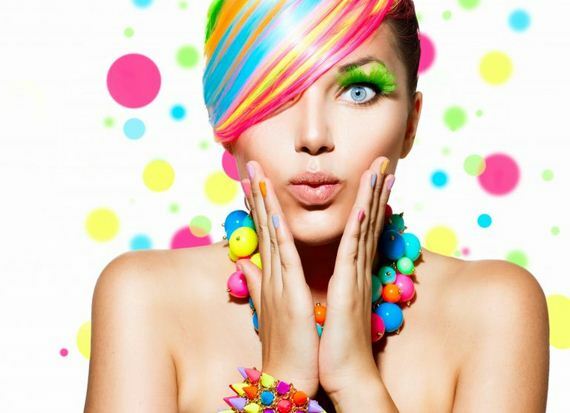 Read on to discover five top tips for applying and wearing rainbow makeup that looks fun, flawless, and not too crazy. Unfortunately, glittery lipstick formulas can be incredibly drying. 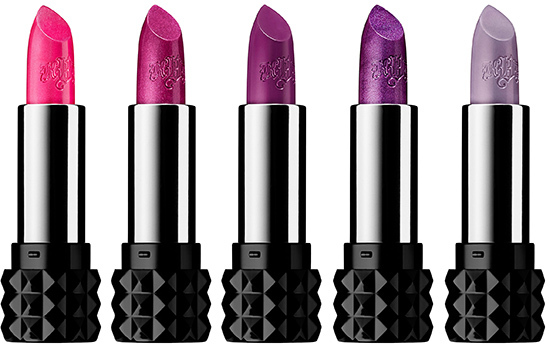 If you’re in the market for a lipstick with a sparkly formula that is also moisturizing and doesn’t look rough throughout the day, try the Kat Von D Studded Kiss Lipstick . This high-quality, smooth lipstick comes in several shades in both a shimmer and metallic finish that offer a subtle sheen of sparkle without any negative side effects. Although sparkly formulas look great on lips, cheeks, and eyes, make sure to keep your foundation and base skin makeup matte in order to avoid looking so dewy that you take on an unattractive oily appearance. 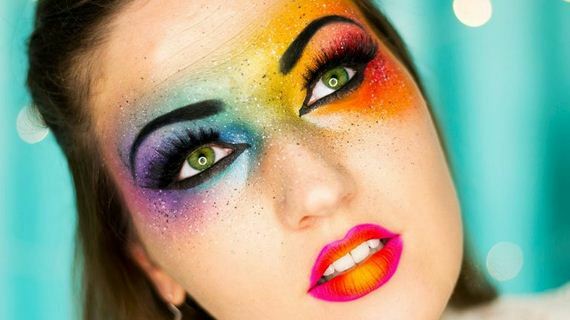 When you decide to experiment with rainbow makeup, there’s no reason to hold back. Feel free to step out of the box of colors you’ve always used and try new things. 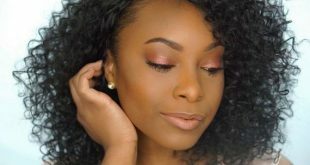 If you’re in the market for some out-of-the-box products to enhance your rainbow makeup, there are several excellent options out there. 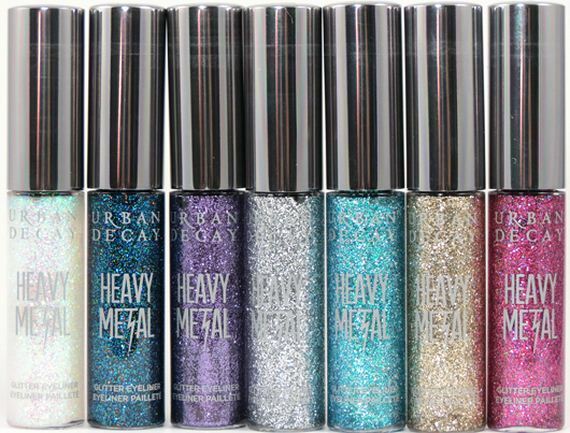 The Urban Decay Heavy Metal Glitter Eyeliner is a super-glittery liquid eyeliner formula that applies intensely and stays on your eyelids all day long. It is available in seven different colors, including blue, gold, pink, and silver and can create a flawless, attention-grabbing finish to your rainbow makeup look. Another excellent and slightly wild product to incorporate into your rainbow makeup is the Jeffree Star Skin Frost . 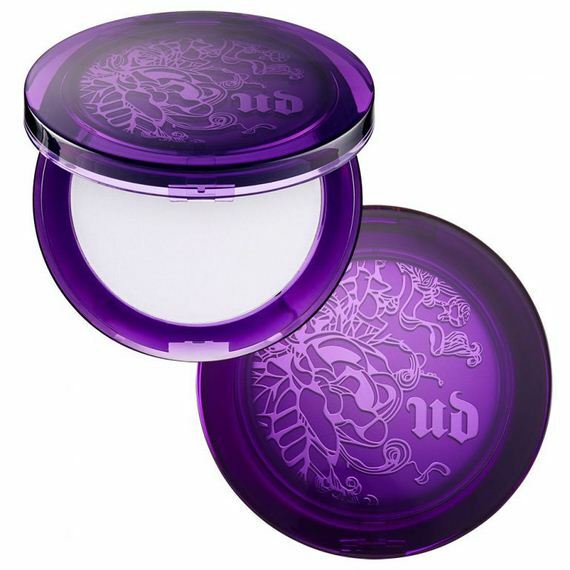 This high-quality highlighting powder builds an incredibly intense, smooth glow. 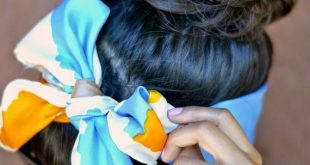 Plus, it’s available in Mint Condition, a fun and unique shade of mint green that adds a pop of unexpected, whimsical color to your cheeks. One of the most important parts of applying and wearing rainbow makeup is that you have fun with it rather than approach it with fear and apprehension. 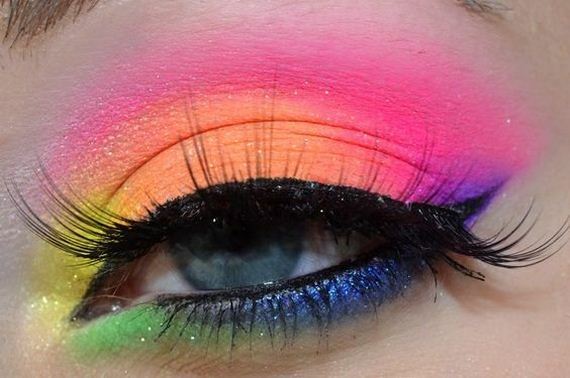 Rainbow makeup makes a wild statement. 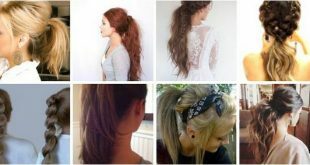 If you’re going to wear it, you need to be confident about it. 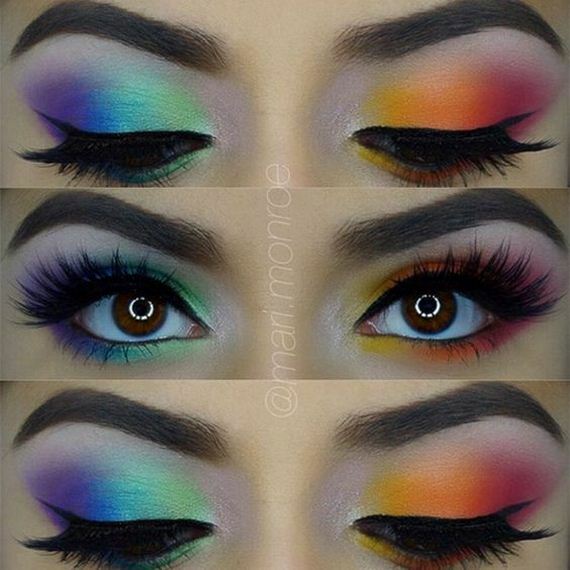 Wearing rainbow makeup is an excellent opportunity to let your unique beauty shine. 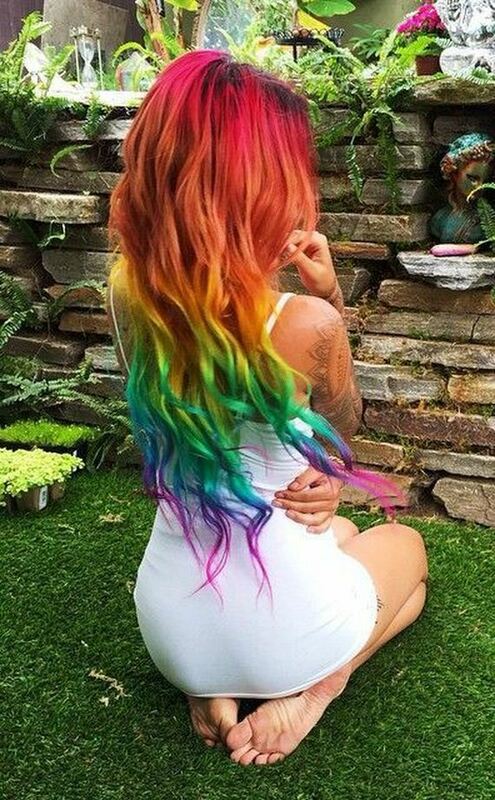 Choose colors you absolutely adore, apply them with love and, when you go out on the streets, don’t forget to smile. 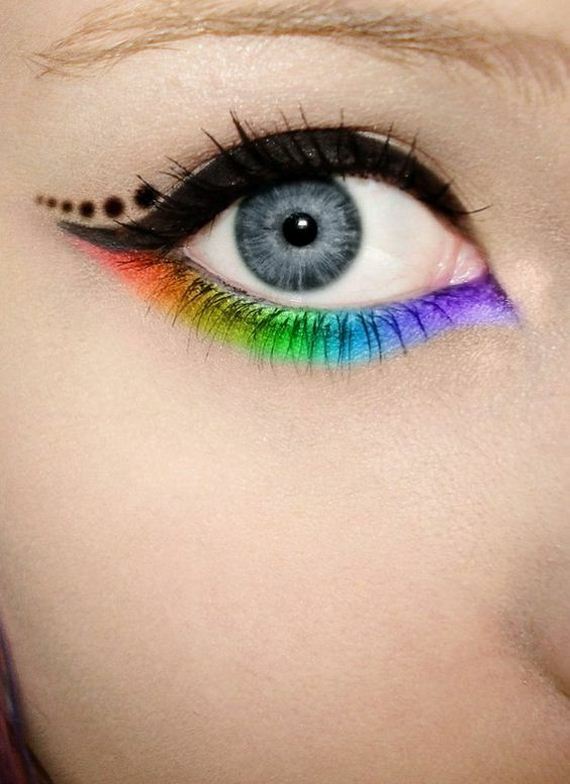 Rainbow makeup is a fun and whimsical look that every beauty lover should experiment with at least once. 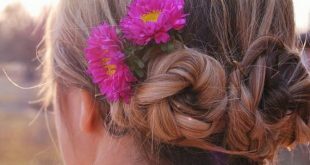 It can brighten your face and bring out warmth and color in it that you might not even know exists. 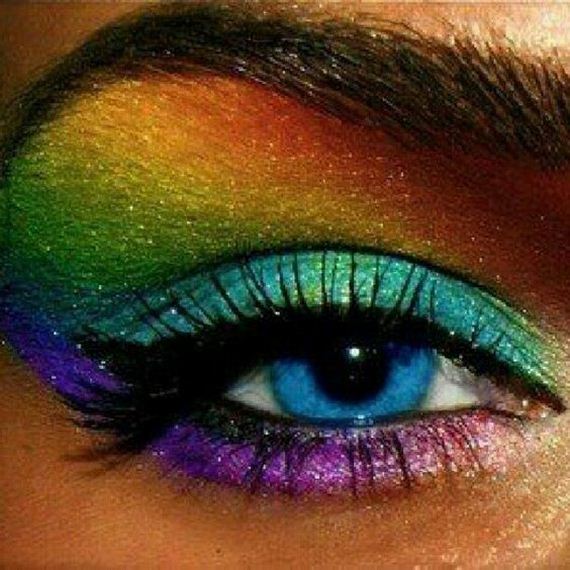 By using the tips in this post, you can achieve beautiful rainbow makeup that looks fun and sophisticated for almost any occasion.